After a long week of doing next to nothing over the holidays, I pushed to get us out of the house and into a bowling alley. My sister-in-law was quite receptive, and even suggested a particular alley because of their "awesome" wings. I equate bowling alleys with cheap beer, greasy food, and sub-par wings—part of the attraction, really—so I was immediately drawn to the notion that we were choosing a location to roll primarily on the quality of their wings. I have to say, the wings were pretty damn good. Coated with the familiar Thai sweet and spicy sauce, the real magic of these wings was the batter, which was golden brown, crunchy, thick, and filled with little nooks and crannies for the sauce to settle in to. Trying to recreate these at home, I needed to forgo the usual light coating of cornstarch I use for wings and go full throttle with a heavy batter. The wings were dunked in a mixture of flour, cornstarch, and baking powder, then in an egg wash, then back in the flour mixture to create an extra-crispy, thick shell. Although it didn't quite match all the qualities of the bowling alley wings—I'm starting to think they had some panko in their batter that created the unique texture—these were still top notch. The initial crunch of the wing gave way to a sweetness, then tang, and ended with a punch of heat, a combination that ensured every last one of them was devoured. Place the vinegar, white sugar, water, fish sauce, sherry, garlic, and chili in a small sauce pan over medium-high heat. Bring to a boil, reduce the heat to medium, and let boil unto reduced by half, about 10 minutes, stirring occasionally. Whisk in the cornstarch and water mixture and let boil until sauce thickens, about 2 minutes. Remove from heat and set aside. In a shallow bowl, mix together the flour, 1/2 cup of cornstarch, and baking powder. Place the beaten egg in another shallow bowl. Pat the wings dry with a paper towel. Working in batches of a few wings at a time, toss the wings in the flour mixture, then coat in the egg, and toss again in the flour mixture, continue until all wings are battered. Preheat oven to 200 degrees. 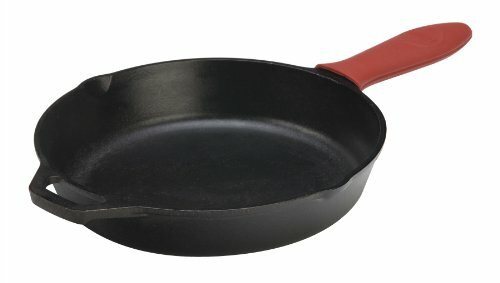 Fill a 12-inch cast iron skillet with 1-inch of peanut oil. Bring the oil to 375 degrees over medium-high heat. Place half of the wings in the oil and fry until golden brown on first side, then flip and continue to fry until second side is browned, 5-7 minutes per side. Remove wings to a paper towel lined plate, then place in the oven to stay warm. Repeat with the second batch of wings. Place all of the wings in a large bowl. Pour in the reserved sauce and toss to coat. Place wings on a plate an serve immediately.